On the heels of the first pictures of the Samsung GT-i9020 aka the Nexus 2 aka the Nexus S coming to the surface comes another photo opportunity from another unannounced device. 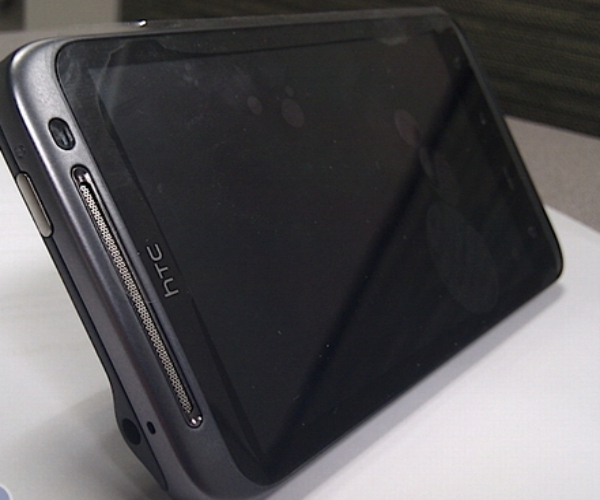 Those lying in wait for Verizon’s LTE network are probably familiar with the unicorn known as the HTC Incredible HD. It appeared on the radar a few months back and the rumors have been swirling ever since. Some of those whispers include a possible November 23rd release date. Android Central got their hands on a new photo of the HTC Incredible HD aka the HTC Mecha that is important for several reasons. First off, it’s the first time we’ve seen it running software. As you can see, it’s running Android 2.2 with the new version of HTC Sense over the top. A closer look also reveals something else, something that should excite the masses. Look in the corner, that’s 4G from Verizon. It looks like we have another LTE device on our hands. 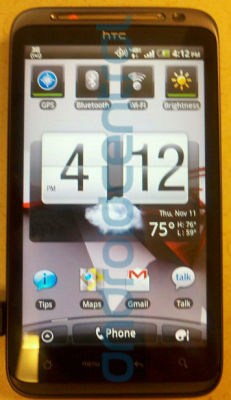 Remember, the HTC Merge is also rumored to support Big Red’s 4G network. The device is apparently undergoing testing and is said to be hitting speeds of 9Mbps downstream and 5Mbps upstream. It’ll be interesting to see if those numbers hold up when the Incredible HD is released. Unfortunately, it looks like you’ll have to drool over this device for a little while longer. It’s probably not going to drop until next year.